Please help us to honor those that have contributed towards a better environment! 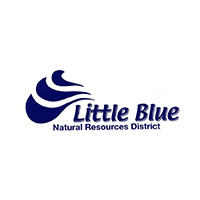 The Little Blue Natural Resources District is seeking nominations for our annual conservation awards! Please nominate cities, communities, producers, school groups, 4-H, FFA, scouting, church youth groups, and other organizations for their accomplishments in Environmental Conservation. Please fill out the appropriate application form by April 1st and return to the Little Blue NRD. Conservation award recipients will be selected by the Board of Directors.